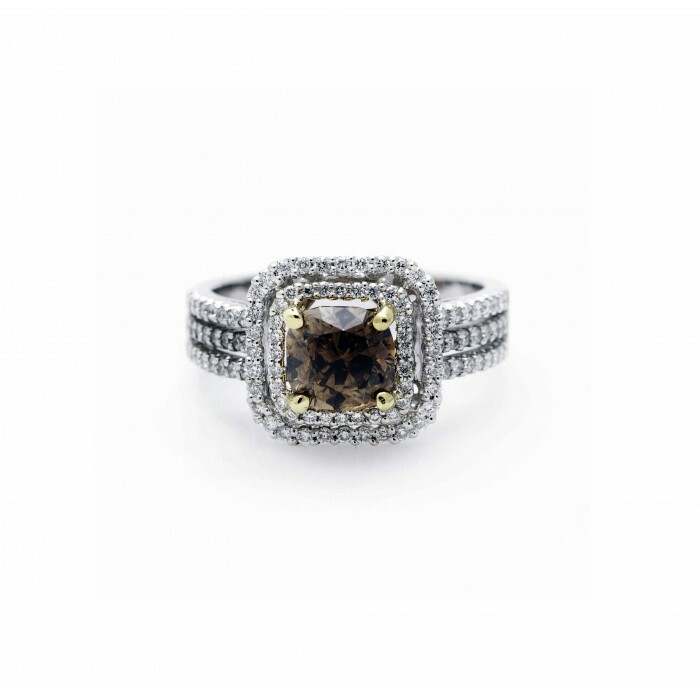 Explore the world of colored diamonds with this Chocolate Diamond Ring. 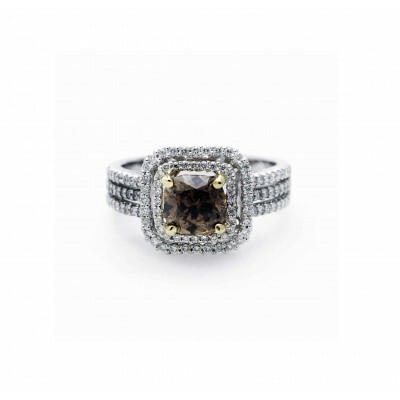 This ring features a chocolate colored diamond surrounded by a diamond double halo and a diamond triple shank. 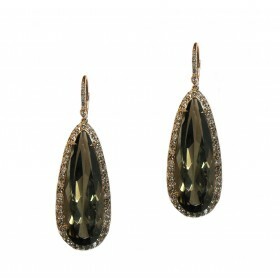 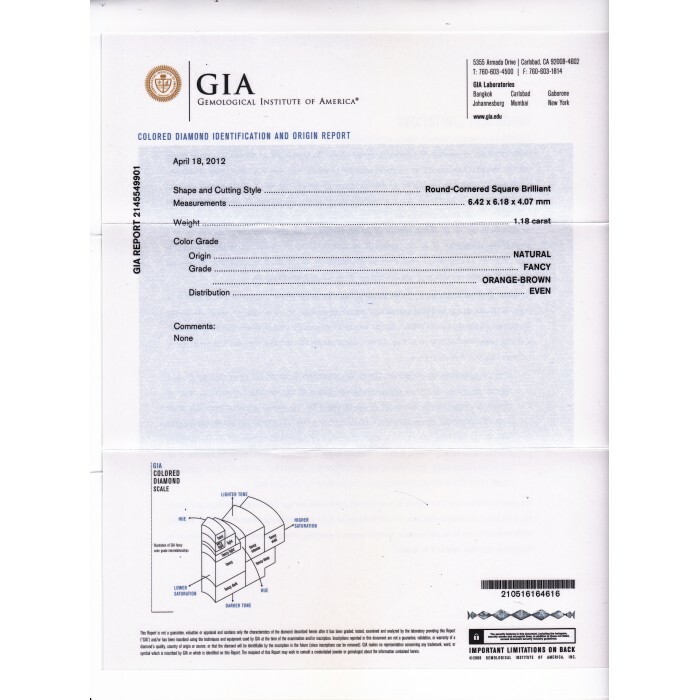 The diamonds offset the beautiful color of the center stone.